Get a jump on your style for those casual times with Giorgio Inserti 2 piece sets by Inserch. Inserch is fashion leader when it comes to grown man style they have built up quite a following over 4 decades. 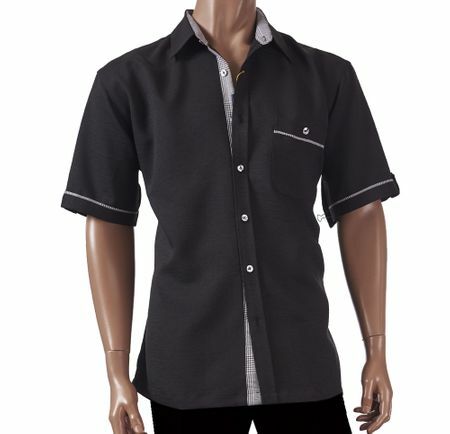 This black texture short sleeve 2 piece set is made of a textured fabric with soft touch. It has pleated pants and comes in a grown man regular fit. Add some Stacy Adams shoes to the mix and you have a ContempoSuits.com winner.